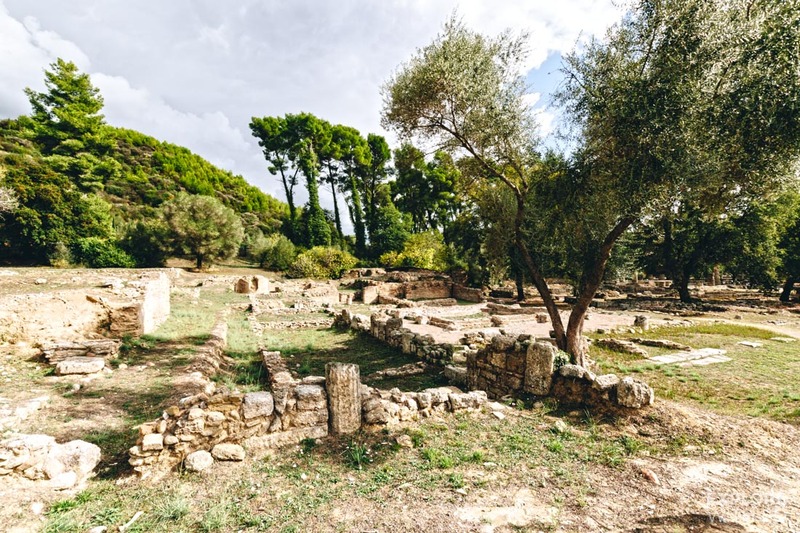 As you’d expect, Olympia is in ruin – the Ancient Olympics started here around 8th Century BC, coming into its prime during the Classical Period around 500BC. 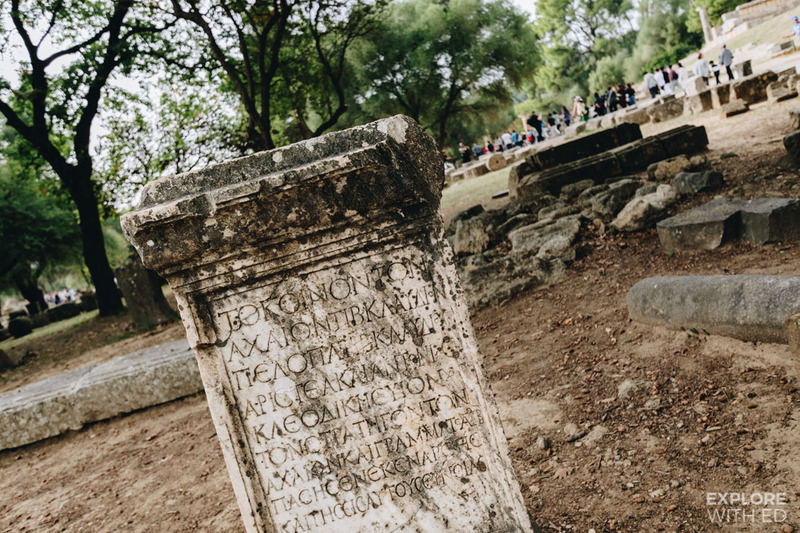 You really do have to use your imagination – remember you’re walking in the footsteps of the first Olympians chasing eternal glory, winning would often mean a celebrity-like status and their own statue in the grounds. 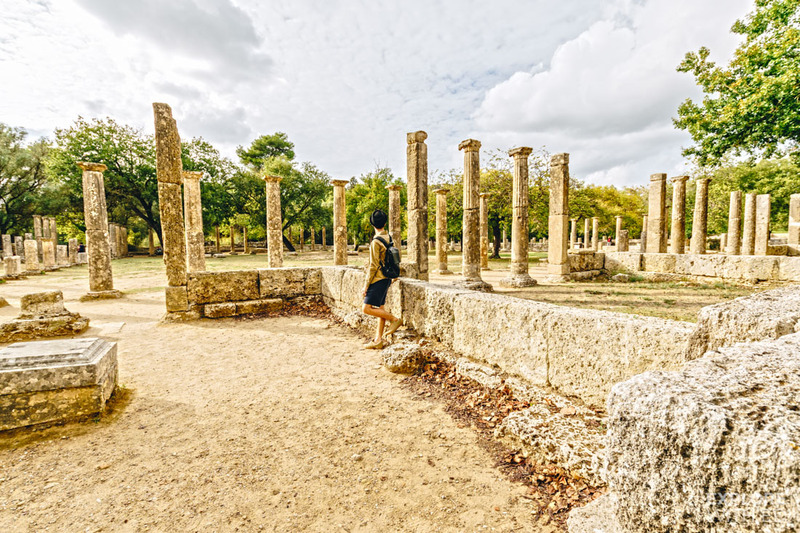 Numerous temples, a gymnasium and even a hotel for the privileged few all occupied Olympia and dotted amongst the remains you’ll find plaques with image reconstructions and text to help paint a picture. 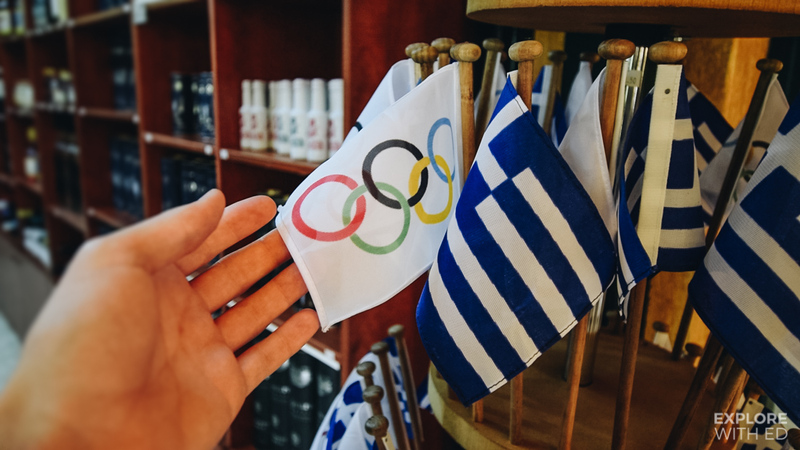 The area still has a significant part to play in the modern Olympics, the flame is lit near the Temple of Hera by the sunlight and transported across the world to the host country. 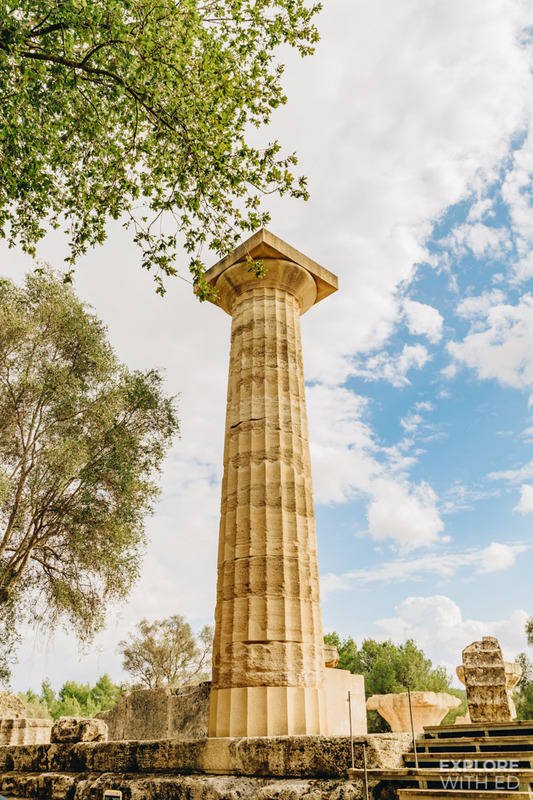 The foundations (and reconstructed columns) for the grand Temple of Zeus lay in the centre, a sacred place that housed one of the ancient wonders of the world, the 13m high statue of Zeus. 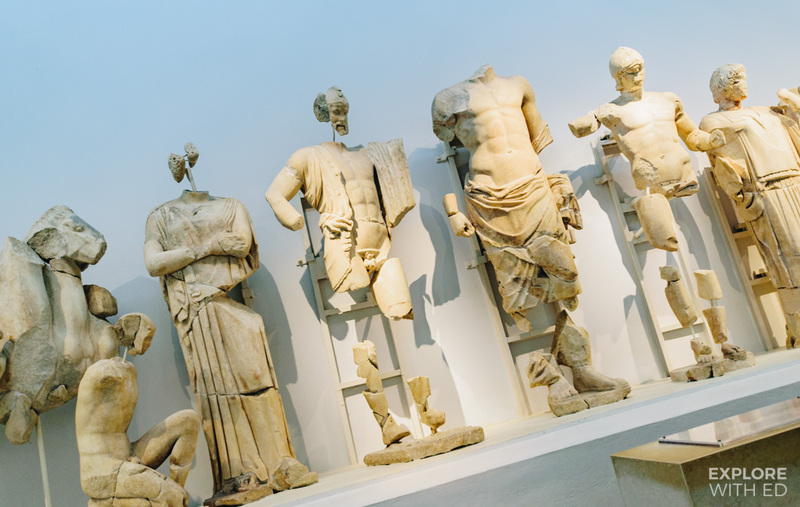 If you’re wondering what it could have looked like, think of Disney’s ‘Hercules’ where Zeus’s statue is brought to life by a thunderbolt. 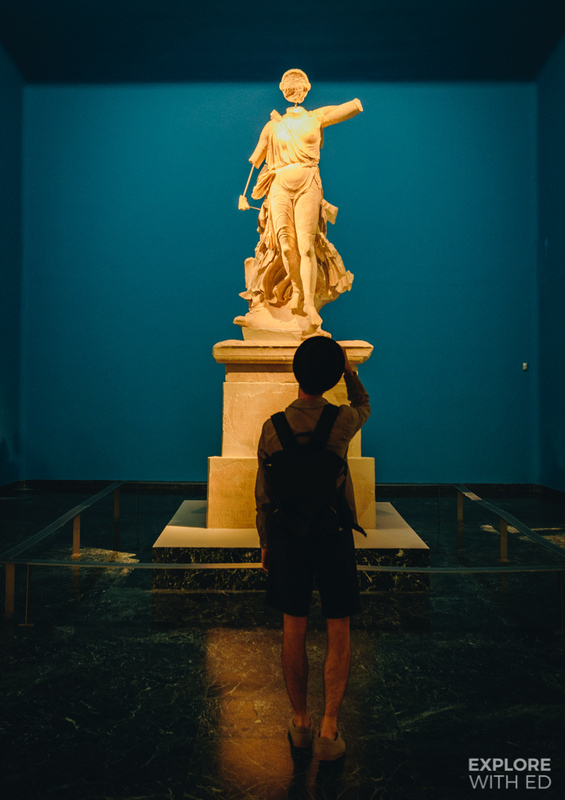 Unfortunately Olympia’s was lost and destroyed around 500 AD, but many statues that did survive (at least partially) are housed in the on-site museum including Nike, the goddess of Victory. 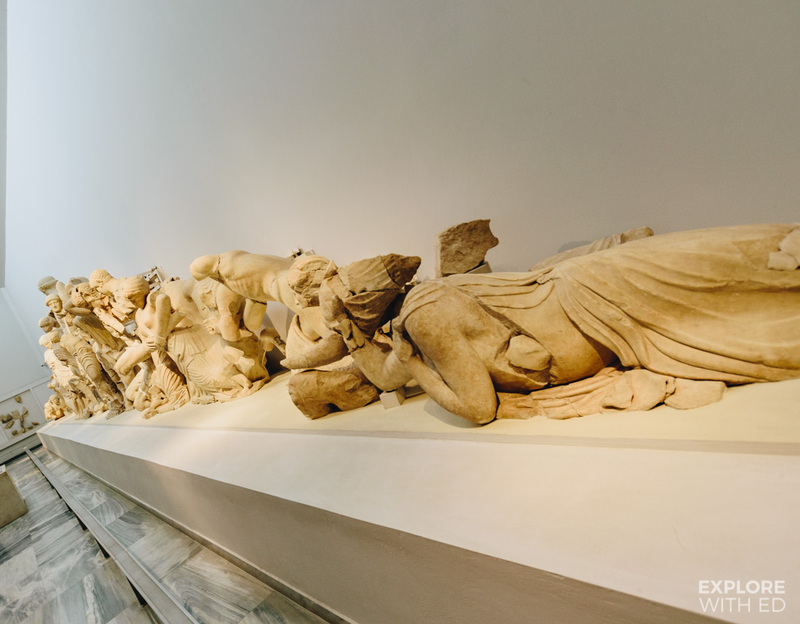 The museum contains a vast collection of artefacts, including remains from the Temple of Zeus and the most significant collection of bronze statues in the world. 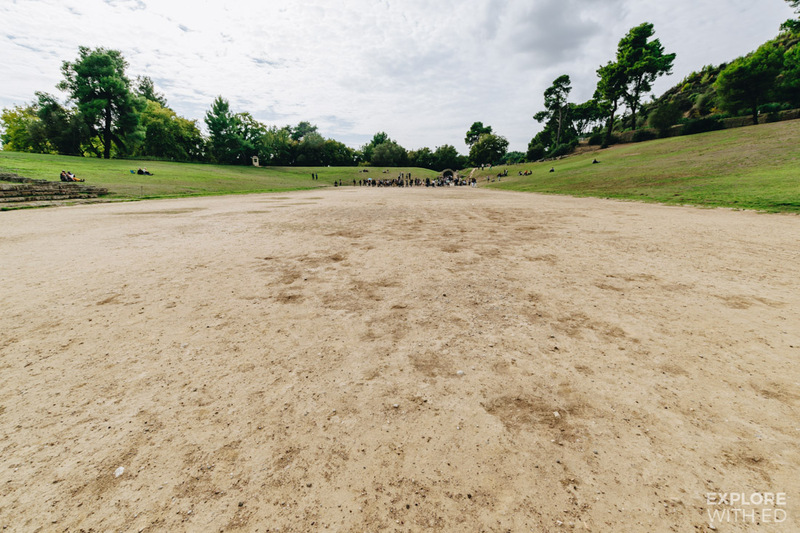 Near the car and bus park is a little hub of gift shops and a café for refreshments – the soft biscuits are scrumptious. 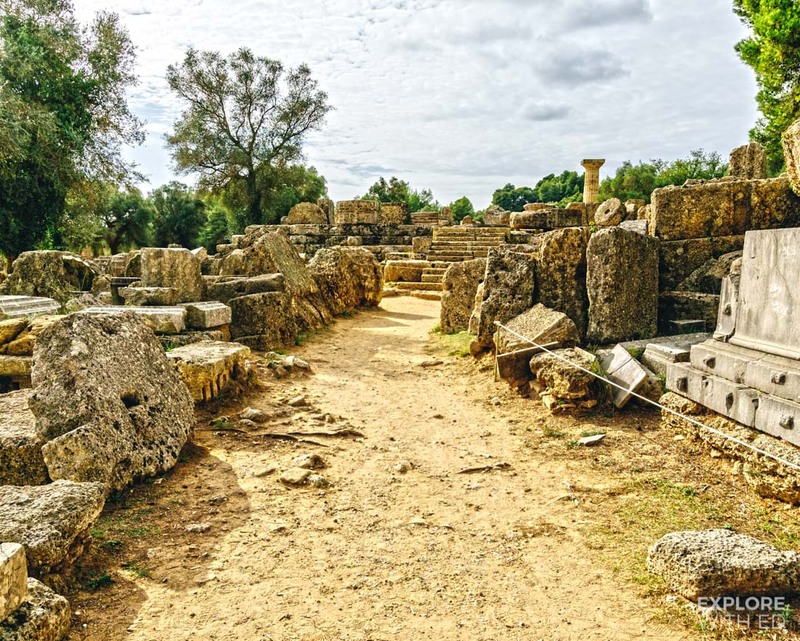 Whilst an excursion to Olympia may not be the most entertaining day out for young children it’s amazing to see where the Olympic Games began, hear stories about the Greek Gods, feel the dusty stadium floor beneath your feet and get a taste of an Ancient Olympian’s lifestyle. 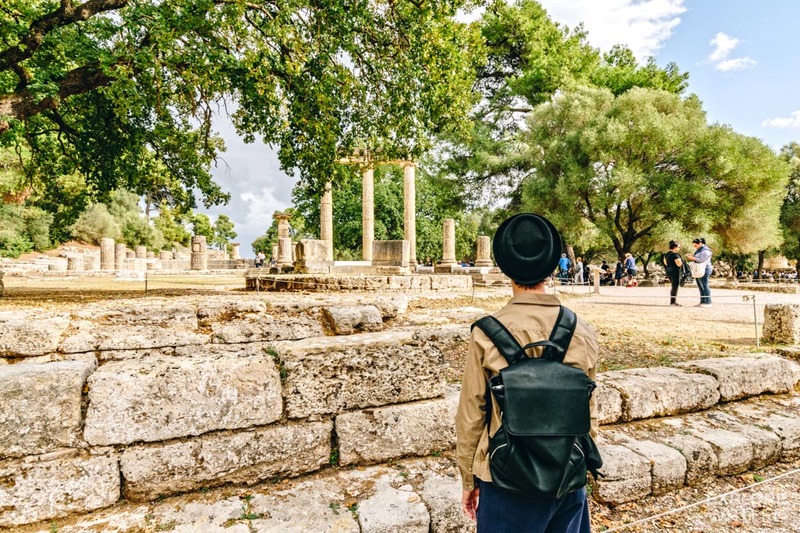 I visited on a MSC Shore Excursion and I’d highly recommend having an experienced and knowledgable guide show you around as it would be easy to overlook so much of the history. 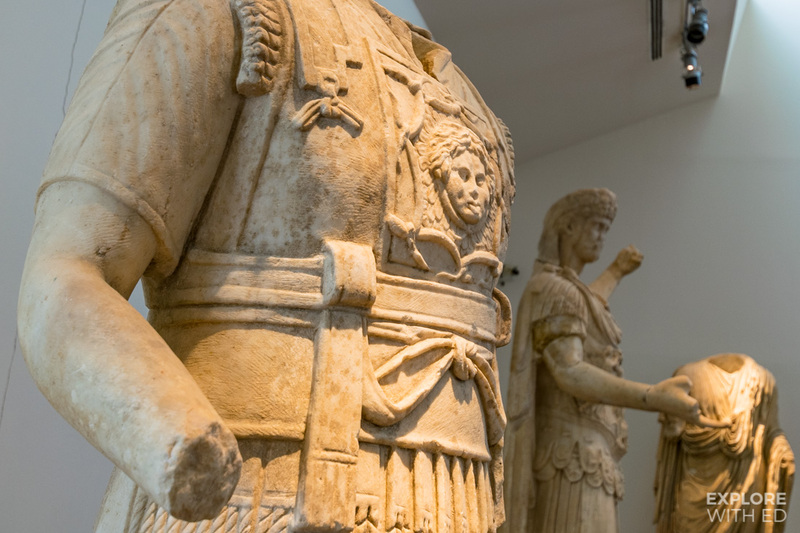 Tickets for the Olympia site and museum are currently €12 (reduced €6) and free on certain holidays including every first Sunday from November to March. 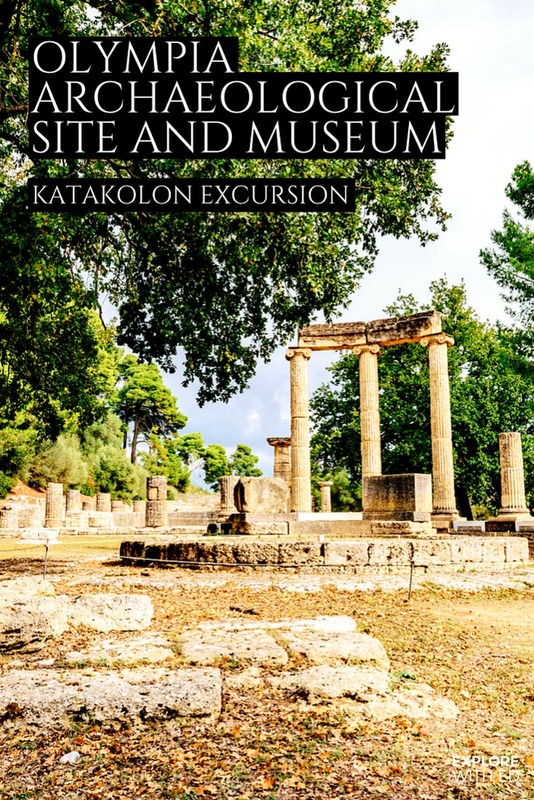 If you’re not visiting on a tour the train station is in walking distance and information is available on the Katakolon.org website.